Nostalgia is a helluva drug. Trust me, I’m a frequent user, and many times an abuser. It’s natural to want that old thang back. Especially when it comes to HBCUs and even more so when it comes to HBCU football. So naturally, when Snoop Dogg rocked a Grambling State shirt during the BET Awards on Sunday, it made those of us who support HBCUs take note on social media. Almost immediately, folks began calling for the network to start airing black college football games. Hundreds of tweets, some of them now viral, have emerged since then calling for a revival of what once was a staple of the first cable television network aimed specifically at black people. While people’s hearts and heads are in the right place, we have to stop waiting for BET to see the light and “bring HBCU football back.” Instead, we must place that energy where it will be valued and maximized, not to where it will be treated like a forced task. When the cable network was founded by Robert L. Johnson and his wife Shelia back in 1979, black college football wasn’t just a staple of the programming. It was foundational. When Johnson was trying to gain funding for BET, his proof of concept consisted of a phone call to a barbershop in Anniston, Alabama with a simple question. “The shop was owned by a guy named Pink Junior Woods,” Johnson said on “How I Built This” with Guy Raz. “I said Pink, if I brought cable down to Anniston, AL and played Grambling football and Jackson State football, would you guys subscribe? That conversation launched not only a network, but also a cultural phenom by putting teams from the CIAA, SIAC, MEAC, and SWAC on a national stage from the 1980s through the early 2000s. At its best, the network not only highlighted the student-athletes but the institutions as well as the halftime battle of the bands. Johnson, of course, sold the company to Viacom in 2000, shifting it from black-owned media to black-targeted media. HBCU football was gone from the network that it had helped launch within a matter of years. The MEAC and SWAC found homes on ESPN, with the other HBCU conferences signing spot deals from time-to-time. But for the fan who follows HBCU football seriously, or even casually, these broadcast have left a lot to be desired. HBCU football games don’t look or feel like any other college football games in person, but much of that flavor is extracted from the broadcast. Instead of letting the bands play during halftime and broadcasting it, networks often go in-studio to talk about games that have no connection to the contest at hand. The consumers may not know or realize how the ownership of a media company influences the product that they see, but they do know they aren’t satisfied with the status quo. 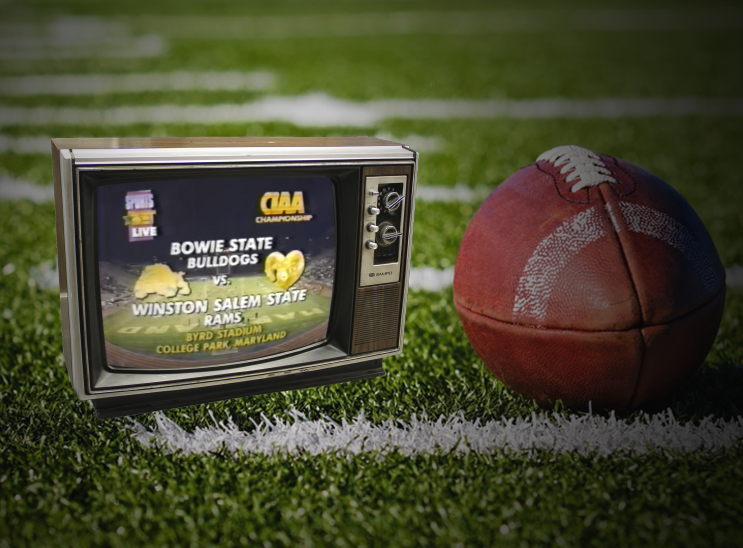 Over the last several years there has been a movement that wants the spirit of those old BET football broadcasts back. As a lover of history (and admitted nostalgia addict), I find myself watching the ones I can find on Youtube for either research purposes or entertainment, and often share clips or photos from the era on my timeline. So in a way, I’m railing against a sentiment that I’ve helped fan the flames of. The fans deserve football broadcasts better than what they’ve been getting over the last decade-and-a-half, but nothing tells me that BET is the place where that will come from. Most people have no idea what it costs to produce a quality TV broadcast of HBCU football, a whole season of them, but the folks at Viacom certainly have a good idea and if they haven’t felt the need to do so in over a decade. Why now? We see what they did to The Quad earlier this year. A slight dip in ratings and boom, its now history. Mary Jane? Same story. When you add in the cost of promotion and production, don’t hold your breath. Instead of looking to the past, HBCU fans should look towards the future, which is streaming via mobile and OTT (over-the-top). Cable folks know more than anyone else that people are cutting the cord, especially millennials like myself. More people are buying Amazon FireTV (Firestick) and Roku devices than ever, so it only makes sense to go where the market is going. HBCU Gameday made historic forays to both of these platforms in 2017 and we plan on maximizing them. Like Bob Johnson, we have seen the future. For him, it was the transition from network television to cable. For us, it’s the transition from cable to digital. Black folks need to be involved not only in producing it but owning it. But more than the format, it’s the passion and the experience of HBCU culture that needs to be displayed much more prominently moving forward. Properly capturing and broadcasting the experience will definitely cost money, which Viacom has, but it will also take a dedication that the network hasn’t shown to anything outside Baby Boy and Peter Popoff. Don’t expect the network that ended Bobby Jones Gospel to find a new religion in HBCU football now. Excellent article. I’m in total agreement with you in regards to using the current digital platform to create the proper content.,The networks we expect to create it, will not create, that’s been proven. Therefore, let’s build it and they will come. Magic Johnson and his Aspire Network has the spot deal with the CIAA, however the production quality is not so great and they need to sell the HBCU experience more, i.e., the halftime show, “The Band!” However, he’s doing it. If we can bring Aspire, OWN, Netflix, Tyler Perry (Production), TD Jakes, Revolt and Cube Vision to the table and pitch the HBCU Sports digital idea as a cultural branding idea as oppose to a sports broadcasting idea it may work. Maybe “Magic” happens, no pun intended. Maybe some of those players don’t need to be at the table however you get my dream team prospective.